Being a print service provider in the age of digital sounds like a contradiction in terms, but as you've doubtless learned over the past few years, there are ways to make the combination work. You can provide the kinds of services that companies today need to communicate internally and externally. Marketers still rely on your products to reach huge swathes of their respective customer bases, and the unique value provided by print products didn't just vanish when digital technology took center stage. Strategies to become an invaluable partner to marketers today involve close collaboration, more so than ever before. It's not enough to just be a printer, no matter how convenient and developed your print operation is. A leading printing business is one with an in-depth knowledge of its clients' needs and the ability to meet expectations and match those requirements. ​The deadliest element facing the print industry today may be a desire to wall services off and create exclusive silos. As WhatTheyThink columnist Barb Pellow recently revealed, there is enormous value in becoming the glue that holds many channels together. Print services that blend seamlessly with leading digital campaigns are far more useful than those that sit in their own functional areas. When a client launches a marketing push for a new service, that business won't just use print – making sure the physical elements work with, rather than parallel to or against, the digital ones is a key element of strategy today. Mobile: Print products can become quick gateways to mobile advertising through the use of QR codes or simple, mobile-friendly links. The actual content and branding used on the physical media should also mirror what consumers will see when they go to the mobile site, as they will want to know they are in the right place. Social: Printing social media links or suggested hashtags on physical assets can tie a campaign together. This is heavily based on the above suggestions about mobility, as smartphones and tablets are frequent social media portals. Online: Basic online assets used by companies today are the bedrock of their marketing efforts. All roads tend to lead to a website, and physical mail-outs and ads should likely follow suit. Companies can capture valuable consumer data from individuals who go to their pages, and further tailor the experience. 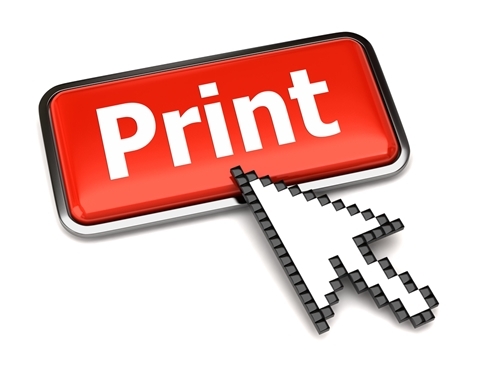 Print products can begin a funnel toward these versatile sites. Of course, no matter how good your integrated, cross-channel offerings are, there remains the matter of selling clients on them. It can be difficult to promote your new role as a multi-purpose marketing partner, but a piece of advice from Printing Impressions columnist Matthew Parker may apply in this situation: He explained that when you're presenting a large list of possible print services, it's best to dole them out a few at a time. This gives you the best of both worlds, namely a brief and appealing sales pitch coupled with a deep well of possible up-sells. Parker observed that a meeting in which you try to sell a current client on all of your potential products would be very dull, the opposite of a positive customer interaction. That said, if you never mention an offering, how can you convince someone to invest in it? The answer lies in a slow drip of sales pitches. Every day, you test the waters and see if there is interest in one more possible product or service. If not, it's fine – you'll try again with something new soon. If so, you've deepened the relationship with the customer and offered the business a new wrinkle for its own communications needs. Today's print provider relationships boil down to becoming the best marketing partner an organization has. This means learning the state of the industry and delivering a tailored solution that fits it perfectly. The term "solution" is one that can guide your efforts. Wherever there are marketing or communications problems, you're ready to solve them. When offerings blur the lines between print and digital, and when you learn to effectively sell a wide range of products in an effective way that isn't overwhelming, chances are you'll achieve the kind of teamwork that makes you indispensable to your clients. You aren't just a third party, you are part of the long-term strategy.